If I’m honest with you, I’m pretty awful at changing out my holiday decor. Case in point: it’s the middle of October and my mantel from the Spring is still on display in front of me. I did add three pumpkins to it, but I don’t think that can really count for much. 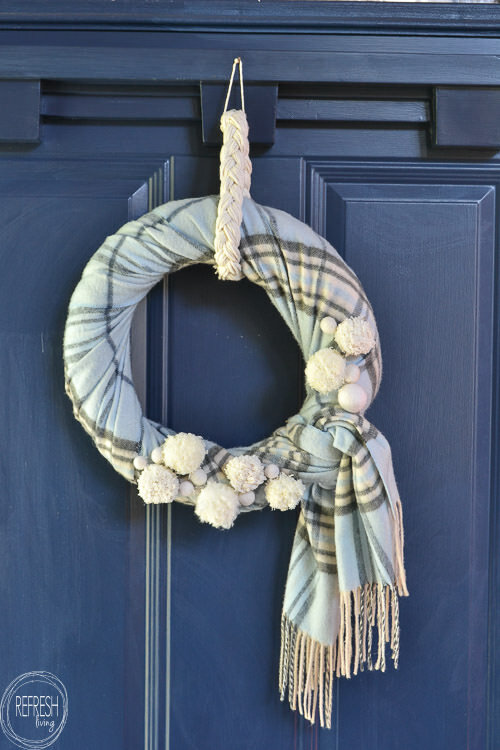 Taking down Christmas decorations is always a tad bit depressing for me, so I made a wreath that can stay up well into February and March around here. As long as there is the chance of snow, I’m keeping this one up on my door! I actually made it a couple of years ago (you can see the original winter scarf wreath post here), but I decided to pull it out of my basement and give it a little update (primarily because all the snowflakes were pulled off by my toddlers either last year or the year before). I kept the base the same, which is basically just a scarf wrapped around a straw wreath form. 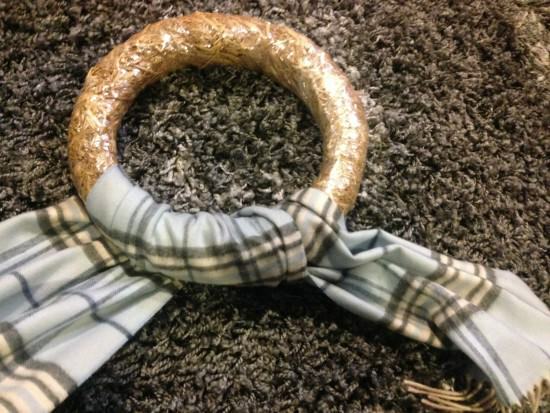 The scarf I used was not very large, and therefore I needed to use a small wreath for it to fit around. It might look a tad small on my door, but that stuff doesn’t bother me in the least bit. 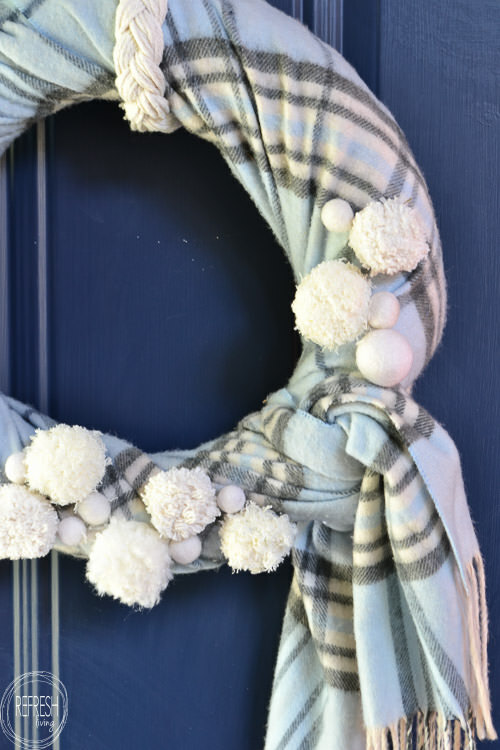 I made some pom-poms from yarn I had leftover from my farmhouse Valentine’s garland, in the hopes that they resemble snowballs, and hot glued them to the wreath. You can see how to make pom-poms in this video. 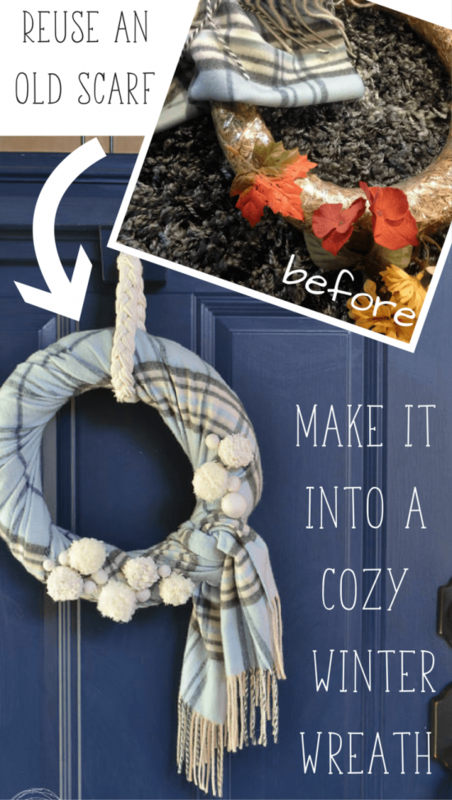 It’s super easy; it probably took 15 minutes for me to make all the ones you see on this wreath. 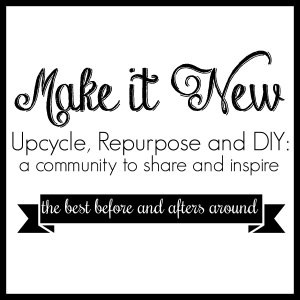 I also had a few white felt balls in my craft stash that I added, but you could also purchase little pom-poms, or just stick to the bigger DIY ones, too. I braided up some of the white yarn for the hanger and that was it. 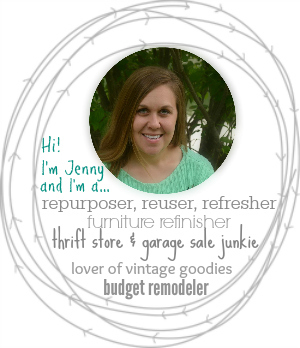 A 30 minute project that will be able to stay on my door for 5 months. I’d call it a win. 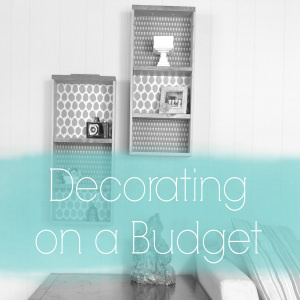 Do you love decorating on a budget? 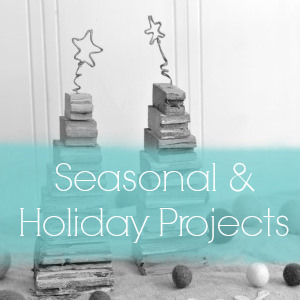 Here are a few more upcycled projects for the holidays.